Mako Web can integrate You-Tube into your website in conjunction with your You-Tube account (Adobe Flash Video technology) to display a wide variety of your videos and increase your video library while increasing your internet marketing. Please contact us to for more information about how you can integrate YouTube video into your website. Mako Web can integrate videos you created or we can integrate most videos on Youtube.com. If there are some videos that would complement your website then Mako Web can help you embed them. 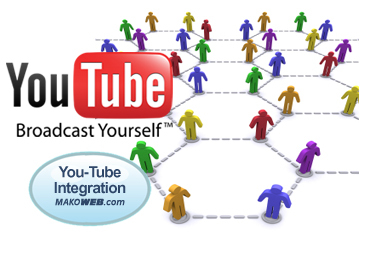 Mako web can integrate Youtube videos in WordPress blogs and other CMS systems also.